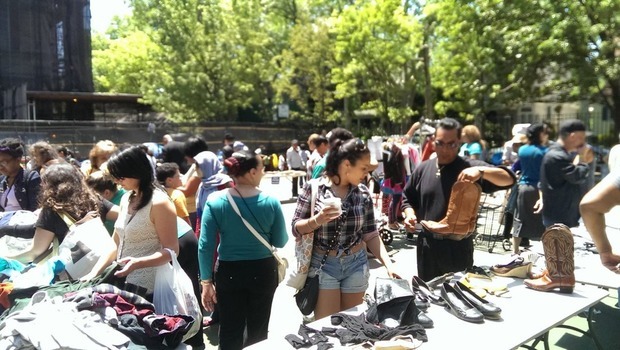 This Saturday from noon to 3 p.m., nonprofit organization funded by the Sanitation Department, GrowNYC, is holding the Bushwick edition of ‘Stop ‘N’ Swap Community Reuse Event’ at BKLYN Commons located at 7 Marcus Garvey Blvd.. The event is free to attend and free to participate in. All items are available for the taking on a first come, first serve basis. Donations must be clean, reusable and portable items. The Bushwick event is a part of a series of swaps to be held around the city. The department’s goal is to hold one swap in each of the City’s 59 community districts. According to GrowNYC’s webpage, the most recent Swap was attended by a record 600 people. In fact, the swaps have become so popular that GrowNYC has limited the number of swaps an individual can attend to 6 per year. This event is among many initiatives aimed at reaching the Sanitation Department’s goal of zero waste by the year 2030. Kathryn Garcia, Commissioner of NYC Dept. Of Sanitation says that this year they have kept over 44 tons of waste out landfills due to the program. Learn more about GrowNYC here. Check out the full swap calendar here.